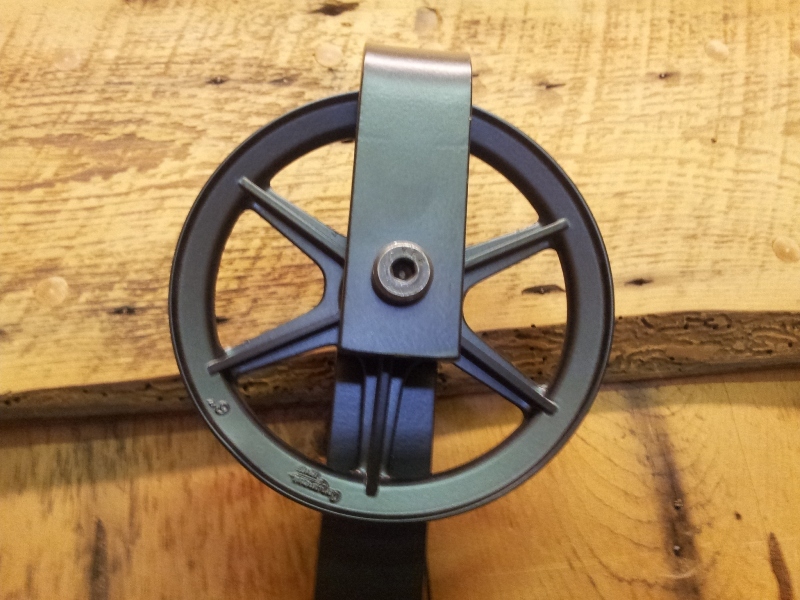 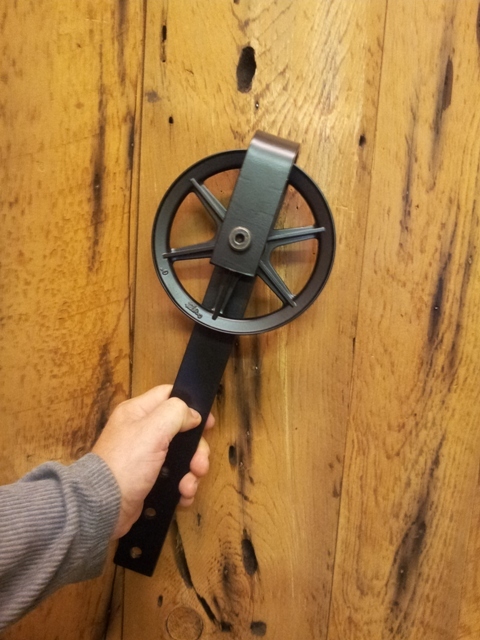 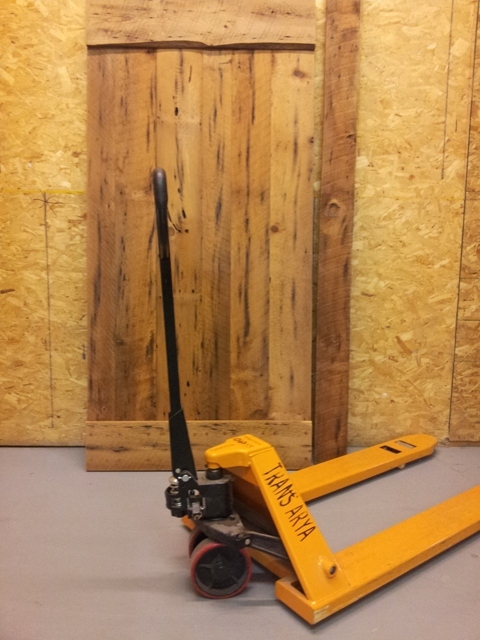 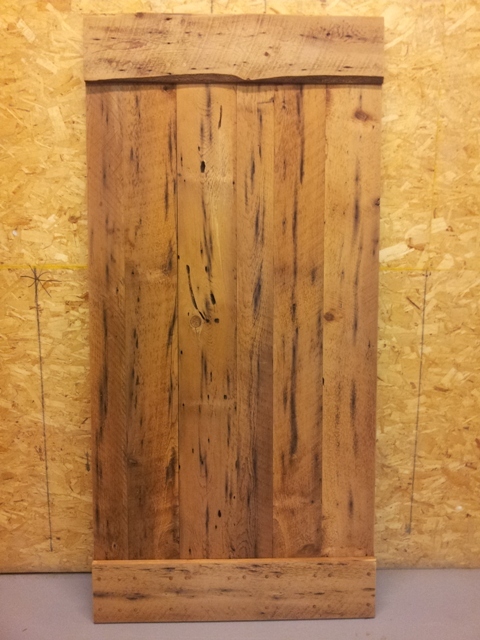 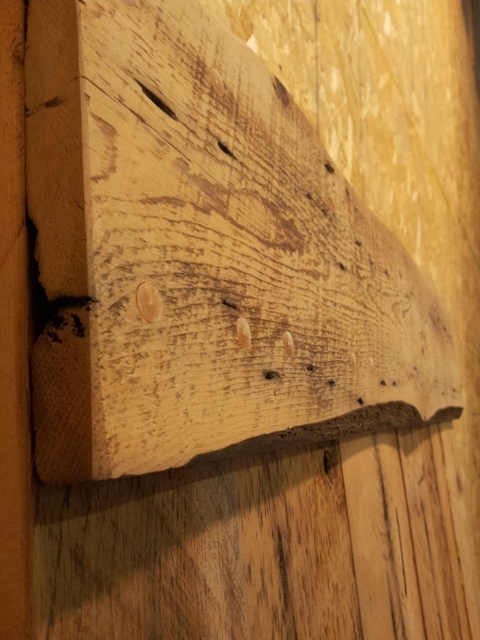 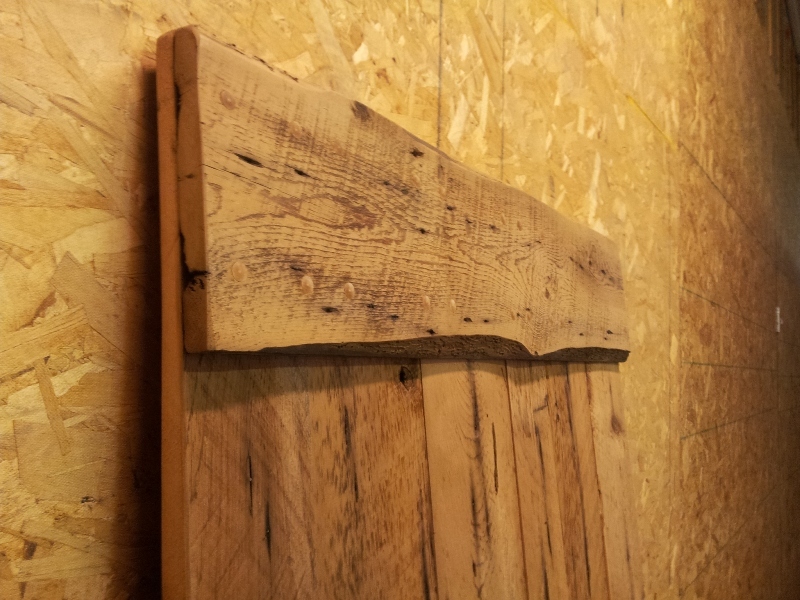 This is a rustic barn beam door on our 6 inch hardware. 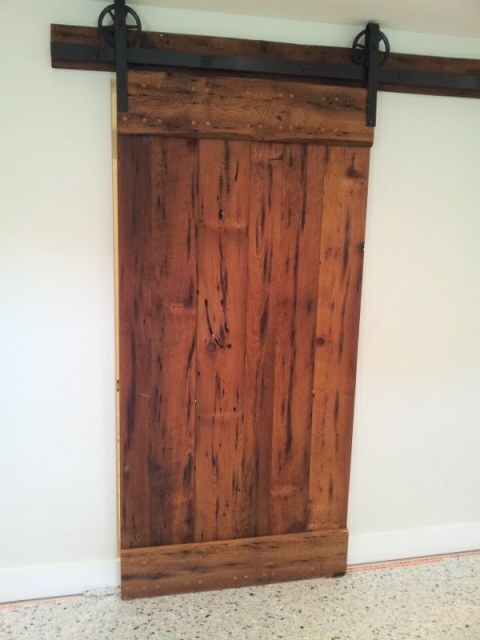 We built this door our of reclaimed barn roofing boards. 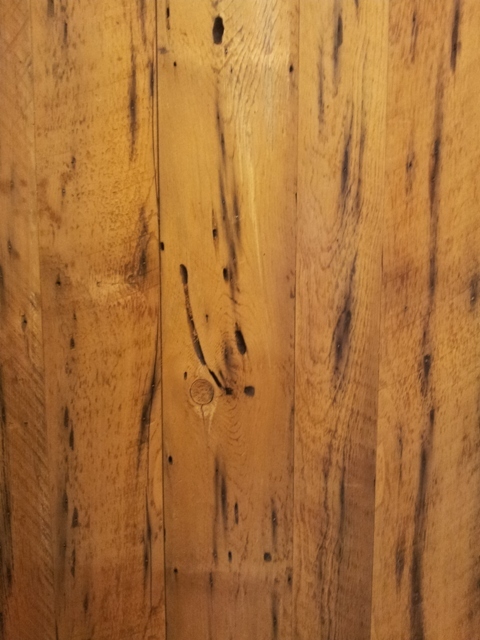 The black streaks are from the oxidization of the roofing nails, which adds to the character of the wood and the door. 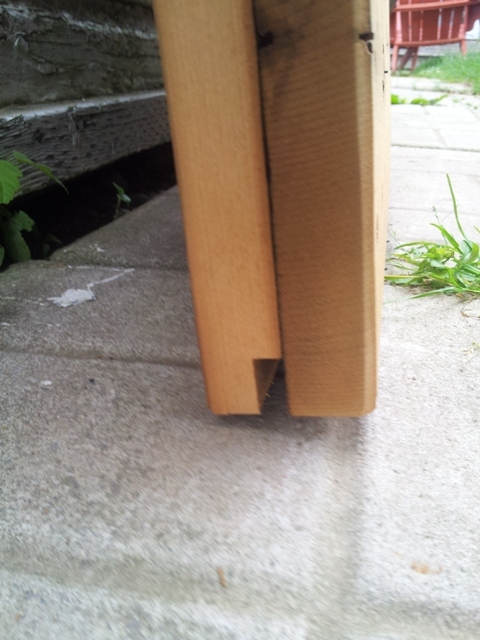 A simple design, this door has vertical boards with horizontal stiles for stability. This door has a natural finish.